BrooklynFashionWeek.com is hosting Green BKSTyle! a Brooklyn Event Celebrating Earth Day and heralding the importance of CHANGE! 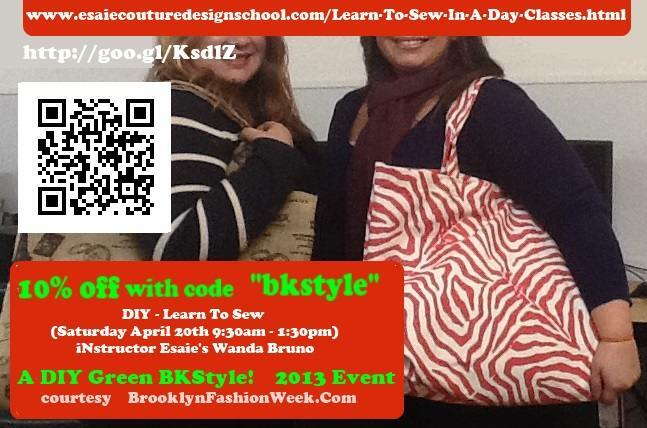 Learn to sew;- Save Money for yourself & Your Family. great as a family event!